Last week, the plethora of photography announcements from Photokina was incredible. One product that was introduced, but got barely any attention, was a new strobe from Impact, the Venture TTL-600. It personally stood out to me as something I could possibly add to my own kit immediately if it does what it says it does and more importantly, does it reliably. So right now, it currently sits at the top of my list of new gear to try out. The Venture TTL-600 battery-powered strobe from Impact is basically a direct competitor to the groundbreaking Profoto B1 500 AirTTL flash, which was a game-changer when it was first brought to the market roughly two years ago. It is where the popular new category of battery-powered strobes all started. It was and is what most photographers dream of: a powerful studio strobe that can run off an onboard battery, be fired via a wireless remote, and is capable of syncing with your camera all the way up 1/8,000 of a second. Now us photographers can easily shoot anywhere at anytime. These type of lights are slowly taking over the industry. Since then, many other brands have released similar models that also compete against the B1. And as these other choices become the norm, hopefully prices will drop as competition becomes tougher. That is the one and only downside to the Profoto B1, its price. There is nothing else to complain about. It does exactly what we want and need with zero problems. Two years ago, Profoto was the only choice with this feature set and could ask any price they wanted for it. Back of the Impact Venture TTL-600 Battery-Powered Monolight. I personally cannot wait to get my hands on one of these new Impact flashes and try it out myself. I am going to pick one up next month and throw everything I can at it for a week. As long as it works properly and does what I need it to, I will end up selling off my B1 and replacing it with this immediately. I don't care about the name on the outside shell; light is light. It's all how the photographer uses it. I can put that extra cash towards a variety of other things more important. So, even though these two lights are in completely different price brackets, they offer extremely similar features on the spec sheet, so let's compare them on paper. 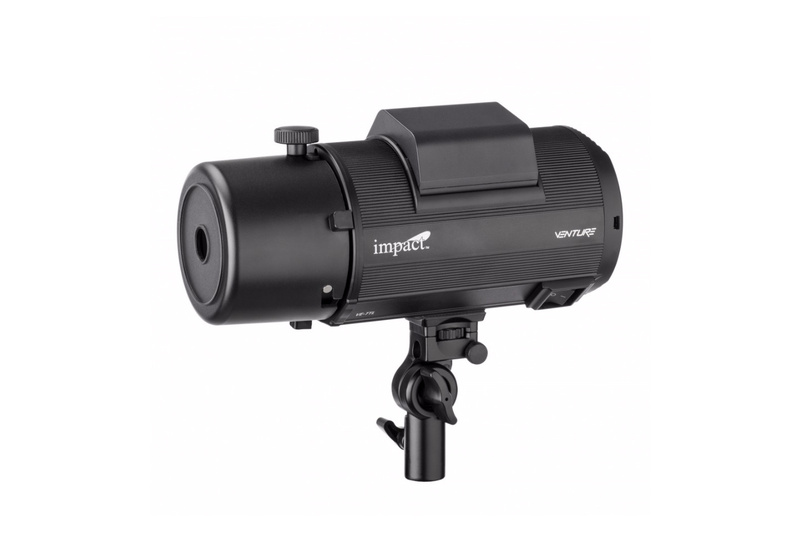 Side view of Impact Venture TTL-600 Battery-Powered Monolight with protective cap. These are the major selling points and the most important features to me between the two models, knowing already that they are both battery-powered, wirelessly triggered lights. Both are TTL-compatible for Canon, Nikon, and Sony cameras, with the receiver for all three brands built into the strobes. So, you just have to buy the appropriate remote according to what camera you own. Flash duration: both lights have modes to shorten the flash duration while reducing the light's power, and they are virtually identical in both models. In the Impact, it is called ''Quick Mode,'' and Protofo calls it ''Freeze Mode''. They produce a duration of 1/19,500 and 1/19,000 of a second respectively. For me personally, that is negligible. 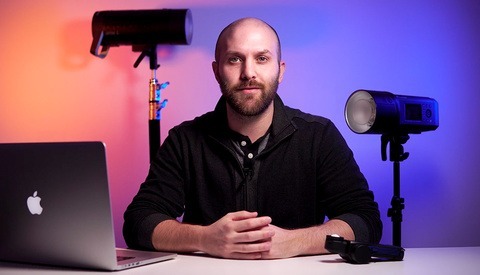 Color temperature and consistency are also very similar in both strobes. The Venture and B1 are both listed at 5,600 K, with the Impact model at +/- 50 K difference despite what power setting used, and the Profoto giving a variance of only +/- 20 K flash to flash. Yes, it is more accurate, but is +/- 30 K really something to worry about? Perhaps. It depends on your genre. The Profoto B1 is obviously compatible with all of Profoto's extensive line of umbrellas, reflectors, and softboxes and is already known to be durable and made of high-quality materials. The Impact strobe has its own proprietary mount called a "Comet" mount, which I believe there is only one Octabox currently available at launch. However, the Impact strobe comes with an optional Bowens adaptor included for free, which immediately opens you up to wide range of modifiers on the market from various manufacturers. I personally use universal modifiers, like the Wescott Apollo Orb and Photek Softlighter, so they work with any strobe as well as my small hotshoe flashes too. So in my opinion, modifier choices are dead even; they are not a pro or a con for either strobe choice. There is so much to choose from for both. All of these positives for the Impact flash that I will list are just on paper. I have not used one yet, so I am going only by the press release. But again, if it does exactly what they claim it does, these are wins for the Venture model over the more expensive B1. The price of everything is so much cheaper with Impact, less than half the cost of the Profoto. That is a giant difference! 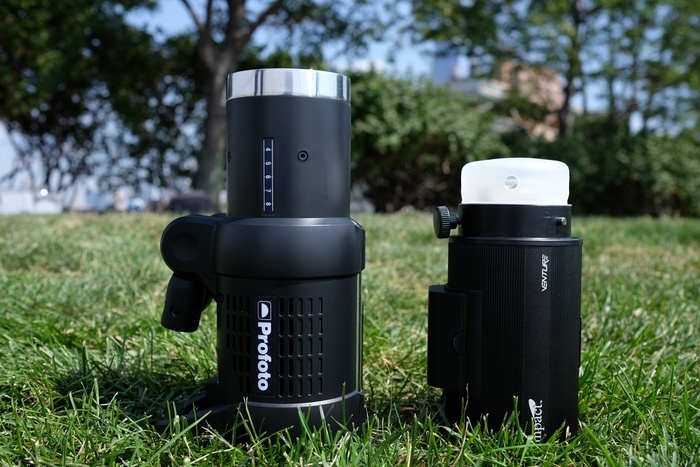 The Impact Venture cost $999 versus $2,095 for the Profoto B1. You can buy two Impact flashes, and still have $100 left over instead of just one B1. The remote control: $230 for the Impact versus $411 for the Profoto. Extra battery: $150 for the Venture versus $266 for the B1. B&H currently has a Venture Kit available for $1,249, which includes the strobe with battery and charger. Then, they throw in the remote control trigger and a second battery along with a hand grip for an assistant to handhold the flash if wanted and the 32'' octabox. To buy all that for the Profoto costs $2,772, over a $1,500 difference, and it does not even include the handgrip or softbox. It seems like it could be a tremendous deal. Impact claims their new flash is capable of 500 full-power shots per battery charge versus only 220 shots on the Profoto; that is more than double and just incredible to me. That means less batteries you have to buy, again resulting in a cheaper investment overall. The Impact Venture wins here again hands down. It is much smaller and lighter compared to the B1, listed at 8.9'' long with a 4.1'' diameter, while the Profoto is 12.2'' x 5.12''. Also, the Impact flash weights in at 4.25 lbs, while the Profoto is 6.61 lbs. Amazingly compact for what it is, it is not much larger than a Canon 70-200mm f/2.8L IS II lens. So, both actual size and weight are a significant difference, considering they have such similar features and are supposed to do the same thing. For me, every inch and pound counts when working on location. This is a surprisingly short list considering what I am comparing it to, but they are all very important things that have to be considered. This has yet to be seen, but will this new Impact flash hold up in real-world usage? Will it survive the grind of a professional photographer using it on location without breaking down? Only time will tell, but reading all the reviews for other models made by Impact, people seem to be very happy and content with them overall, with a huge majority of the comments being overly positive for the brand. So, even if this thing is made out of cheaper materials and plastic, if it works, it's fine with me. But build quality and durability have to be considered as a potential issue with cheaper companies. I know Profoto heads can take a beating and keep on going. Profoto does give you a two-year warranty versus only one year with Impact, but in my seven years of being a professional photographer, I have only once had a piece of gear fail on me, and it was a lens, and it broke years after it was already out of the warranty period. Quality products seems to last, and a guarantee is not that important to me personally. I never go on a job anyway without a backup plan for each piece of gear failing. The Profoto B1 recycles in 1.9 seconds at full power with the Impact at 3.0 seconds. But the Venture is also putting out 600 Ws, versus only 500 Ws for the B1. Basically, a one-second extra recycle rate does not affect my style of shooting, but maybe it does yours. So, it actually isn't a con to me, but it has to be mentioned. I'll take the extra 100 Ws, and wait one more second for a full recharge. 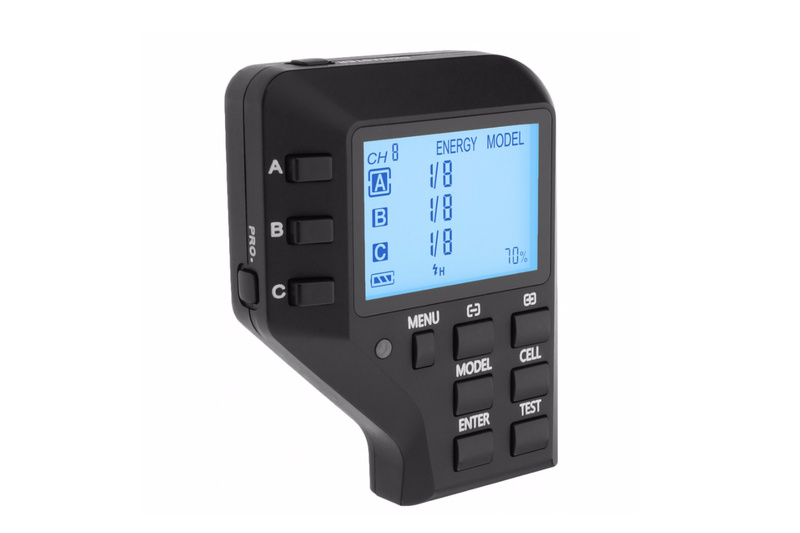 Whenever a new camera model comes to market, if the B1 or its remote does not work properly with the new camera, I know that Profoto will make and release a firmware update as quickly as possible to make it compatible. Will Impact do the same? Maybe, but you never know. So, that is one more thing to think about. Another bargain B1 competitor, the Interfit S1, has this problem. A reviewer said it does not work with his Canon 1D X Mark II, even five months after the release. I also read online somewhere else that the the S1 also does not work with some older cameras, like the original 5D classic. So, this is another potential issue to keep in mind. Any way that you look at it, this release is great for the consumer. More brands are going to be releasing strobes with similar specs and of all different price ranges. More choices are always a good thing for the customer. Competition will hopefully cause manufacturers to build better products to compete against each other. Made by Godox and by the way Piroite was making a battery powered mono light before Profoto. The Godox flashes are sold all over the world under different names. B & H uses the name Impact. I recently bought two battery powered Godox Wistro AD600 (without TTL) for almost half the price of these from a Norwegian reseller. Very happy with them so far. Adorama rebranded them to Flashpoint XPLOR and charges $600 + $50 for the transmitter. They´re called Pixapro CITI600 in the UK. AC adapters will soon be on for sale. You are correct, Cononmk makes them, not Godox. And are brought to the US market by the Gradus Group. I have heard nothing but great things about the Godox/Flashpoint lights too, but these Impact Venture's are even a smaller and lighter. Which is one of the biggest factor in this category of lights.......if they do release a AC adapter, that is another thing it can do over the Profoto. The B1 is battery or nothing. 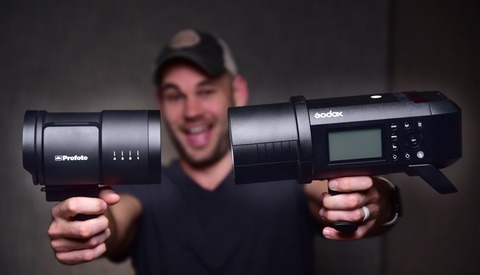 Adorama reabdges Godox gear (and other manufacturer gear) as their Flashpoint brand. This is pretty intriguing. If the quality isn't terrible it could be worth playing with. I currently shoot with a bunch of Dynalite Baja B4's, and they're fine, but there could definitely be some improvement. Do you know if the Impact strobes can run off AC power? Or is it battery only? As of right now it is only battery, just like the Profoto B1's, but someone commented above that an AC adaptor is coming. I am going to contact them to ask about that, as well as a few other questions I have that are not available online currently. How does this unit achieve high synch speeds? Does it do it via multiple flashes like Canon HSS? Do you know if synch speeds above the camera's native speed can be achieved at all strobe power levels? Some schemes, like Pocketwizard's Hypersync, requires full power. Do resulting pictures have darker/lighter upper/lower portions? This is precisely where the major difference will be noticed. There is a huge difference in output depending on whether the system uses pulses like the D1 or long duration flash. The latter is superior imho. The Profoto has paltry output at 1/8000. Your point on longer duration is precisely right. But, when I read the specs on some of these lights, I'm always left puzzled. Priolite's HotSync offerings say they can provide sync to 1/8000th sec at any power level. But, that's not saying much. I need to know how. They do offer the option of renting the light before you buy. The rental price ($200) will be deducted from the purchase. I'll be taking them up on this offer. I will try to find out for you from the manufacturer. They did not explain which method the flash uses to reach 1/8000 of a sec in any of the online info. And it is so new, nobody has really written about it yet or done a review. 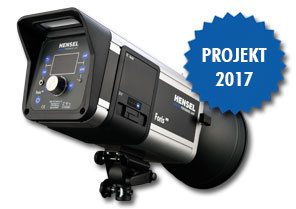 Hi, Robert: The Impact Venture TTL-600 uses multi-bursts of flash to achieve HSS. Then this is similar to how Canon achieves its HSS. The B1 does the same thing if I'm not mistaken. Either way, I believe you're losing power when using HSS. I was hoping for the longer flash duration option. Robert: I understand. HSS cannot yield full power as it is micro-bursting many times in a fraction of a second. The recycle of power cannot keep up at that speed on any system I am aware of, so power has to be reduced for consistent output. What you describe is similar to the feature that PocketWizard first introduced as Hypersync® - essentially using a higher power flash's longer flash duration to burn during the entire shutter travel across the sensor plane. It also has to start before the shutter curtain to avoid part of the frame being dark. Very useful and noted ;-) Thanks for sharing your wishes. We appreciate it. Been using Cononmark lighting since 2011. And they make really good lights! Here's a shot with the new i6t(AKA Venture TTL-600). That's good to hear you have been using the brand for 5 years and are happy with them. Thanks for that info! 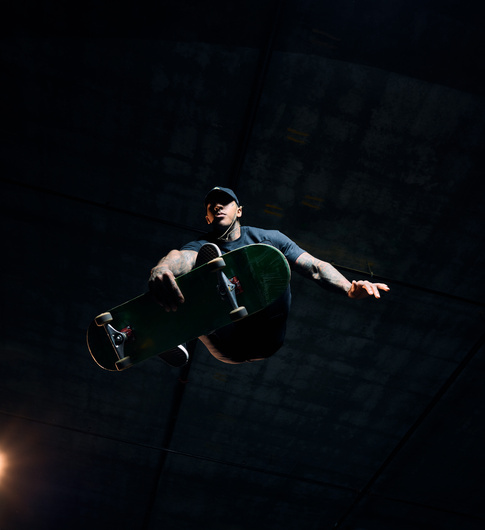 I also use HSS flash for skateboarding photography all the time, it's one f the main reasons I need that feature in my lights. 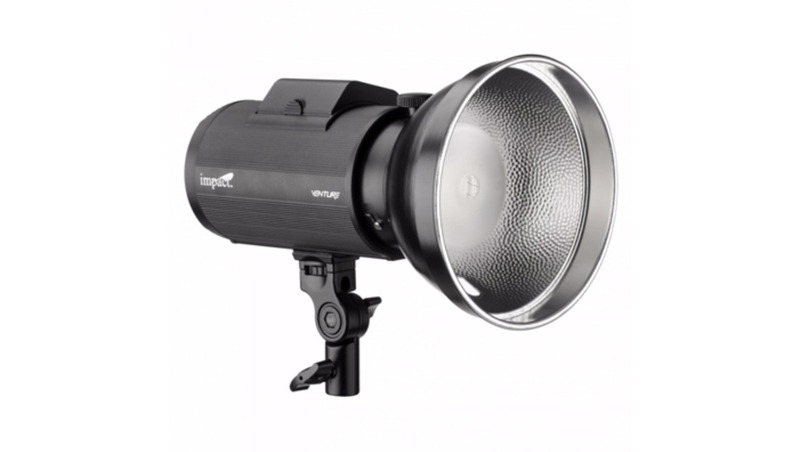 As other have said there is nothing "new" here - this light seems to bring anything more relevant than the already established godox/flashpoint don't have, and is 250 dollars more expensive - even the transmitter is 230 vs 49 for the adorama lights ... comet mount? oh well this light is as intriguing as a yesterday newspaper. Hi, Roberto. Disclaimer - In my day job, I work for Impact. But I'm also a dedicated photographer 24 hours a day. Here is one reason to rethink your statement: the Venture flash is quite a bit smaller than other flashes. In fact, about the size of a 70-200mm f/2.8 lens. It fits very nicely in my backpack where others do not. Hi Matt, well at this point i dont see why i will rethink my statement - i do own flashpoint (and i dont work for them or any other brand) - i'm just a 24 hour photographer too - until i see that light working "my" light is cheaper, same power, cheaper transmitter, widely available, extensively tested and it cab be even use with a cable if you want to boom - but at the end you say it yourself - you work for Impact. We have some many options man, all good. That's fair! Thanks for the reply :-) Different features meet different photographers' requirements. Matt.. do you know if these lights have to completely recharge before firing successive frames? Hi, John: Not technically. Meaning, if you fire the camera + flash prior to recharge, it will trigger the flash. There is nothing preventing triggering prior to full recharge for the selected power settings. That is what intrigues me the most, That size! I am happy with my Profoto light, but the main reason I bought it was to ditch carrying around a big heavy external battery pack, and be more mobile with my style of shooting. If I can go even lighter and smaller while keeping the same feature set, I will. So Matt, you work for Impact? A question, do you know how an extra flashtube can be purchased? The online manual says it is user replaceable, but B&H does not sell it. I would not want to own and bring a light to a paid job without a replacement tube in my bag. If you are able to find out, I would appreciate it. Hi, Dustin: Happy to help! There are many tools for many jobs, and Profoto also (irrefutably) makes great gear. I agree about being ready to replace a broken flashtube. The Venture TTL-600 replacement flashtubes are on the way. Will be available at B&H as soon as we receive them and ship to B&H. Thanks so much for the info! I will keep an eye out for them at B&H. "That is the one and only downside to the Profoto B1, its price. There is nothing else to complain about." Lacking the ability to charge while you shoot or just shoot off AC is a major complaint. Imagine if your laptop or phone couldn't be used while it charged? It's a pretty ridiculous design flaw. While that would be wonderful if it had the option to run off AC, of course. It was not intended too on purpose, and really not a design flaw in the unit. 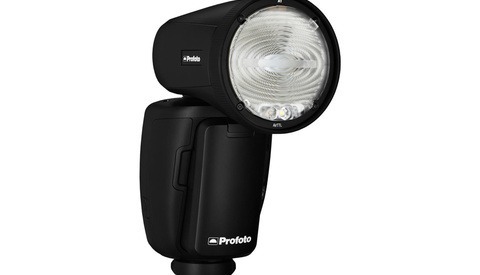 I am sure Profoto did not want to cannibalize sales of there D1's in anyway. I imagine if the B1 did have an AC option, nobody would buy the D1 Air 500Ws version, there would be no reason to. The same way Canon and the likes intentionally leave out options on lower end camera models. For these brands, at the end of the day it is all about making the biggest profit. Kodak had that same thinking with digital cameras and film. How'd that work out for them? Someone is going to disrupt your business, it might as well be you. You are right, Profoto does have to watch there back, with so many other brands hitting the market with lights offering more options, and at lower price points. The competition will force them to be innovative or loose the market, as you pointed out Kodak did. We get the first versions of those exclusively in April 2017 and will be happy to test them maybe even for Fstoppers. 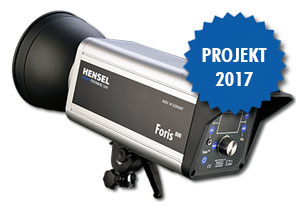 The Hensel "Foris" have just been announced at the Photokina. They will be available in 400ws and 800ws. 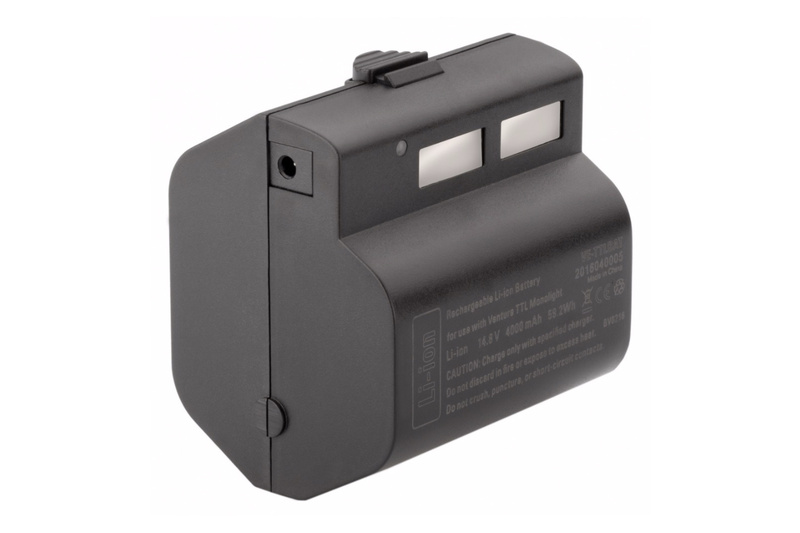 Although they are a bit bigger than the Profoto B1s and the Bron Siros L they actually work with battery AND ac/dc power - which is not possible with the Profoto B1s and the Bron Siros L.
So you can use them in the studio plugged in the wall as well. We don't have to decide whether to buy studio or mobile strobes. You have both. I guess this might be a game changer...we will see. Looks interesting, but does it offer other features besides being able to use AC or Battery power, to warrant that extra size and weight?